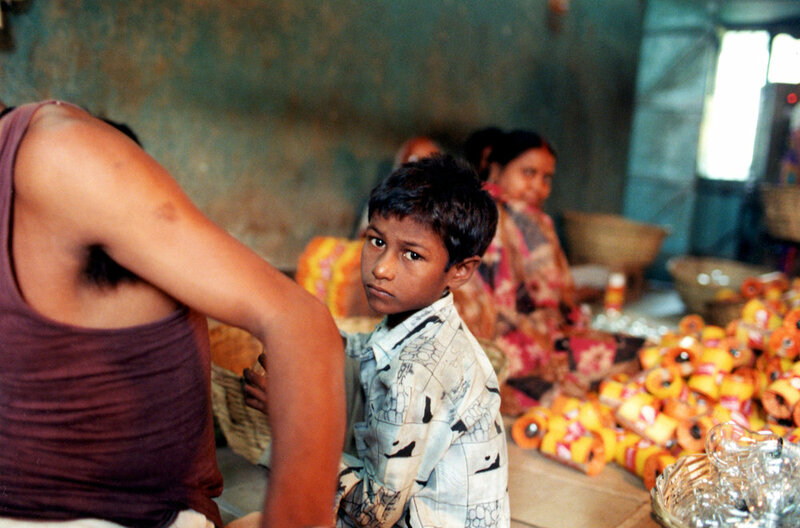 Bonded and forced labor is usually hidden from view. Youngsters trafficked from poor rural areas to the city, are held and forced to work up to 20 hours a day for years at a time without pay. In India, work of this kind is against the law and yet it continues because of the difficulties involved in raid and rescue. 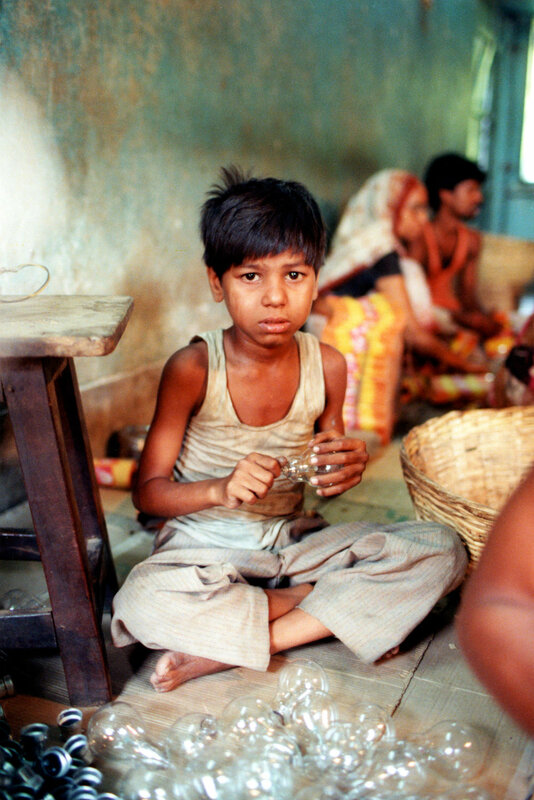 The International Labour Organization estimates that six million children worldwide are forced into this type of child labor. 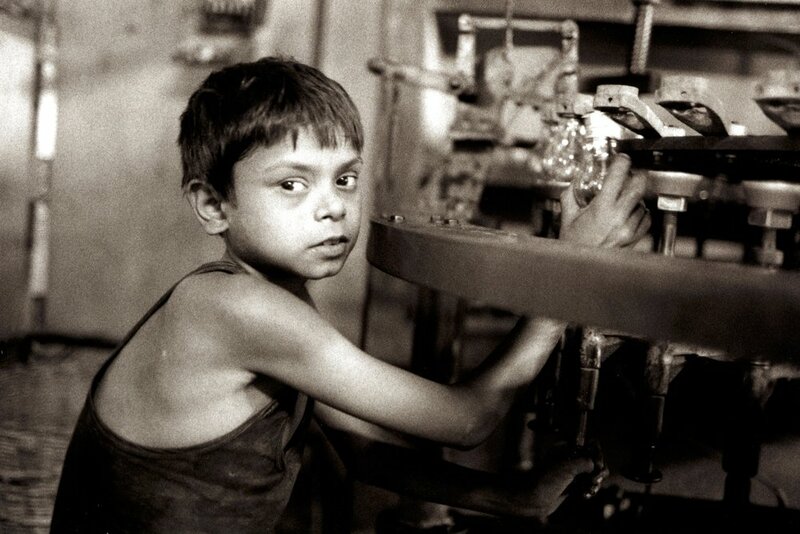 Bonded child laborer works in the GB Lightbulb Factory.